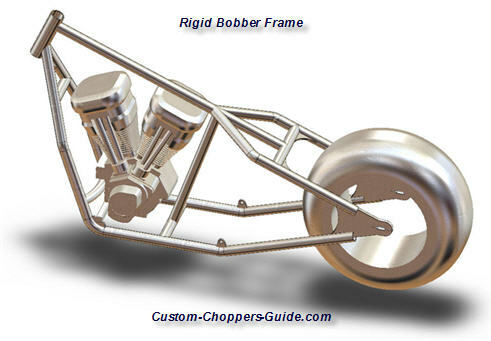 Introducing a comprehensive, professionally designed set of bobber plans -- so you can build your very own killer rigid or softail bobber motorcycle. Our plans were created by a senior design engineer. He painstakingly nailed down the measurements, created the plans in cutting edge software, tested the design, and created multiple views. This is what makes them the best and easiest-to-follow plans on the market. Our bobber plans were not just drawn up on a kitchen table. The frame measurements are as exact as they can be including load tests and more. See below for a Finite Element Analysis. 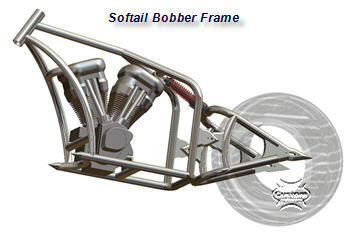 Disadvantages Of Buying Bobber Plans Anywhere Else But Here: The main difference is that the plans you will find for sale elsewhere only have basic views of the frame. So if the frame has unique bends on it then these bends are specified with a bunch of dimensions which force you to do multiple calculations in order to determine exactly what angle the bend needs to be, as well as what the length of tube should be. In addition, there are numerous locations where there are repeat dimensions which are unnecessary and clutter the drawing making it hard to read. Our bobber plans were simplified by creating special "sectional" views: This shows you how the frame would look if it were cut at a specific plane. And it helps tremendously because the only other way for us to specify those compound bends and angles would be to have multiple horizontal and vertical dimensions on multiple views. Outer Frame width = 15"
Material - Standard Mill Carbon Steel DOM Tubes. $49.95 $29.95 for limited time. Dim between tubes. 10.5" between axle plates. The bobber plans will be delivered on 36" x 72" printed paper. The bobber frame drawings that you will get show angles clearly instead of multiple dimensions on the front and side views. A fabricator should be able to look at this drawing and create the frame without any difficulty. 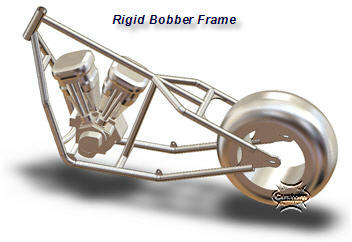 These bobber frame plans are very clean and clear and it makes the drawing look much nicer and also much easier to read and follow. How Much Are These Bobber Plans? Frame can withstand load of 2200 lbs without any significant material failures. Slight deformation occurs of 0.07” with this extreme load. Engine load as well as a persons load will most likely never exceed this value and the frame as designed should be sufficiently rigid for this application. All connections between the tubes were assumed to be perfect. Welds in real life are not perfect and can fail much earlier than this load. Sufficient gussets should be added to the frame based on where the maximum loading will occur. The provided gussets should be adequate. Please note design and safety disclaimer on the drawing. Standard steel tubing obtained from mill was used for this analysis. Stronger steels such as structural steel tubing will make the frame more rigid. Please read all notes and details on the drawings regarding welding and proper material usage. Frame was tested with a load of 10,000N force loaded on the center support for the seat as well as the center support for the engine. 10,000N = approximately 1000 kg or 2200 lbs. 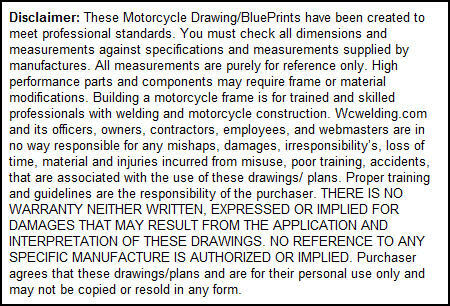 About Our Bobber Frame Blueprints.